this is your chance to have tons of Cocker fun in the sun! Please let us know how many dogs will be joining you. to elizabeth.mazzetti@cox.net one week before the picnic date. Who is invited? Everyone! Adopters, supporters and volunteers too. Let’s show off our rescued dogs! 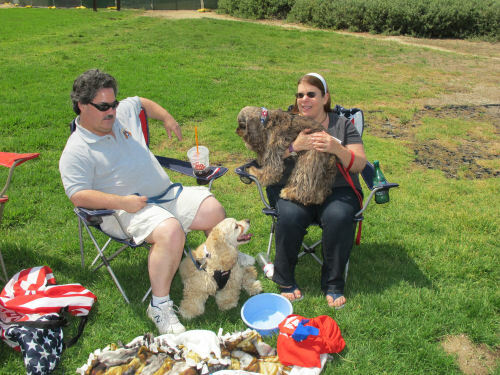 The Santa Barbara picnic will be held on July 15th at Rincon Beach….yep, we will be on the beach yet again where there will be surf and sand for the dogs to frolic on and a large grassy are for those of us who like to keep our feet dry. We will have Raffles, Gift bags for the dogs, free nail trimming, a silent auction and a wonderful BBQ chicken lunch with a vegetarian option. If you would like to join the planning teams for either picnic then give us a heads up, we would love the help!